Charles Darwin (1809 to 1882) is well-known for his theory of natural selection and his book The Origin of Species. However, this was the shortened 1872 title which was the sixth edition; the title of the original version of 1859 by British publisher John Murray was: On the Origin of Species by Means of Natural Selection, or the Preservation of Favoured Races in the Struggle for Life. It was during the expedition with the HMS Beagle to the Galapagos Islands in the 1830s that Darwin gathered evidence for his theory on the origin of species. 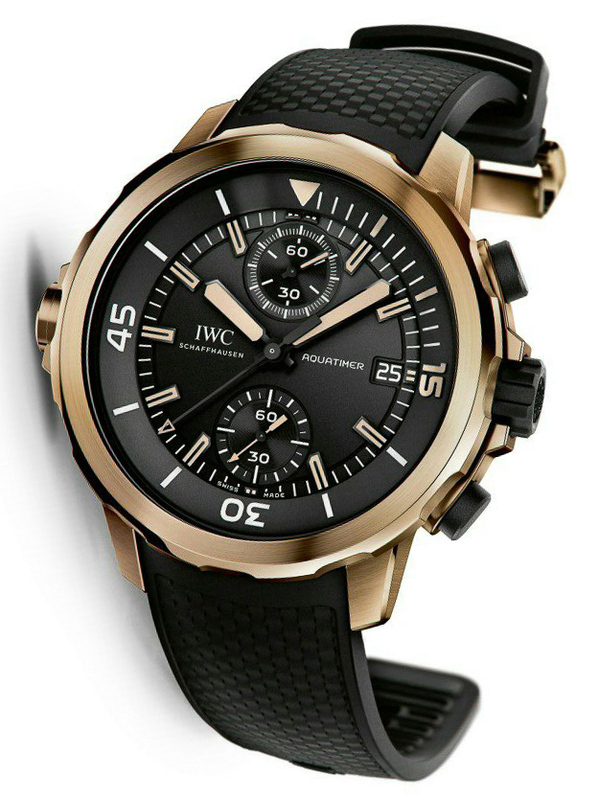 For 2014, IWC Schaffhausen, which is committed to its support of the Charles Darwin Foundation, is introducing the Aquatimer Chronograph Edition “Expedition Charles Darwin”. This “Expedition Charles Darwin” Aquatimer which houses the Calibre 89365 was made as a tribute to Darwin’s visit to the Galapagos Islands and part of the proceeds from the sale of this watch will go to the foundation.